One of the most fundamental aspects of storytelling in fiction is the capacity for stories to immerse us within their worlds. Whether in film, television, or literature, the experience of immersion is not just one of interacting with a work of art, but also one of being transported via one’s imagination into the realm of the story. When we describe a story as immersive, we mean that a person engaging with that story is able to vividly imagine themselves inside the narrative with ease. The more consistently that this feeling is accomplished, the deeper the level of immersion in a story. When applied to the medium of video games, the ability of the player to participate in and actively influence the events of the story creates opportunities for even deeper immersion. Within the lexicon used to discuss and analyze video games, the term “immersive” has become a multifunctional buzzword, signaling anything from a responsive control scheme to the VR gaming experience. But role-playing games (‘RPGs”) in particular seem to be most commonly associated with immersion as I’ve defined it above—the ability of a work to allow its audience to vividly and easily imagine themselves within that work’s narrative. After all, it’s right there in the genre’s name: role-playing. In RPGs, there is a certain expectation that a player will be able to inhabit a role and involve themselves more thoroughly in a game’s narrative than they might otherwise be able to in another kind of game. For this reason, immersion is a necessity in RPGs, not just an optional bonus feature. But how is the experience of immersion achieved? What kind of narrative is best suited for an immersive experience? 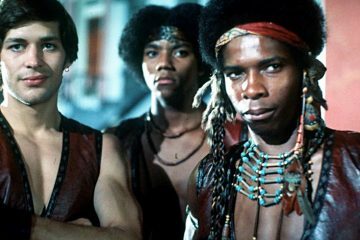 Any given narrative is constructed from four major elements: plot, setting, character, and theme. Within those components, we can further define plot and setting as being elements that create the form of the narrative: the shape of the story, the events that occur within it, and where those events take place. Character and theme, on the other hand, create the content of the narrative: who and what the story is about. It is my contention (and the thesis of this essay) that the type of narrative that best creates the experience of deep immersion in video games is one in which form mirrors content. That is, a narrative in which the plot and setting fundamentally reflect themes and characters is the narrative that best allows for an immersive experience. 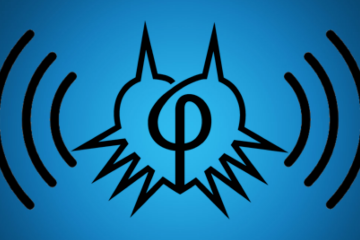 This is because the themes and characters of a video game’s story are the components of the story that the player engages most easily and strongly: themes provide immediate intellectual engagement with the concepts and ideas that the narrative explores, while characters allow for an emotional engagement based in sympathy, empathy, and relatability. Additionally, when discussing any given narrative, it’s important to keep scale in mind. The events of a narrative happen on either a macro or a micro scale—the former referring to events and elements of the plot that cover a larger scope, and the latter referring to those that depict more intimate, personal subject matter between characters. These definitions will be helpful in determining the lenses through which video games allow us to view their narratives, and the ways in their form and content function. In order to prove my thesis that games are most immersive when their narrative’s form mirrors its content, I will compare and contrast two contemporary RPG titles: The Witcher 3: Wild Hunt and Dragon Age: Inquisition. Both games were marketed with and critically acclaimed for their emphases on engaging storytelling, and post-release, both were lauded for their detailed worlds, rich plots, and memorable characters. However, in my mind, The Witcher 3 succeeds over Dragon Age: Inquitision in establishing a narrative in which form mirrors content, thereby creating a deeper level of immersion. In Dragon Age: Inquisition (“DA:I”), the player controls a customizable avatar who, after surviving a supernatural cataclysm called “the Breach” with newfound powers, finds himself or herself embroiled in the power struggle wracking the world of Thedas. Initially seen as a prophetic figure, the avatar eventually revives and leads an ancient order known as the Inquisition (becoming its leader, the Inquisitor, in the process) in order to unite the opposing factions of Thedas to face the evil Corypheus, a demonic figure who is responsible for the Breach, and who now threatens the entire world. The gradual building of this plot occurs through main quests that are dispersed through a handful of large, explorable areas, eventually leading to a climactic endgame wherein the Inquisitor enlists the aid of a mighty dragon in order to win the fight against Corypheus. Taken at face value, there’s not a whole lot to the plot that differentiates it from any other hero’s journey. Instead, the story’s distinctiveness is derived from the expansive world in which it takes place (which builds upon the extensive mythos of the franchise), the colorful characters that make up the core of the Inquisition, and the ability of the player to control the actions not just of a hero (the avatar), but also of an entire organization. That last element is one of DA:I’s defining characteristics: the avatar that the player inhabits is not just the Inquisitor, but also represents the entire Inquisition. The choices and decision-making that allow a player to personalize their playthrough extend to the tactics and strategies of the Inquisition. It’s due to this that the game almost exclusively operates on a macro scale: with the fate of the world in the balance, the narrative stakes and the movements of the plot are dictated by large factions locked in geopolitical struggles. This creates an atmosphere of grandeur suitable for an epic fantasy, but one that consequentially leaves little room for more micro scale, character-based moments in the main plot, which are instead relegated to side quests and interactions with NPCs. To be clear: what I mean by ‘character-based moments‘ is simply parts of the game that emphasize detailed, rich characters. Obviously there is no shortage of characters in the plot of DA:I; my point is that many of these characters lack depth, individuality, and well-roundedness. They function primarily as agents of the plot in the sense that they transparently exist to move the story forward, rather than existing authentically as believable people. The result of this lack of personally engaging, character-based moments in the plot of DA:I is that the level of immersion in the game is less considerable. The setting of DA:I is another of its defining aspects. 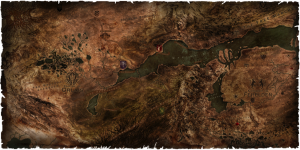 Thedas features a wide breadth of geographical environments, whether the harsh deserts of the Hissing Wastes, the snowbound ruins of the Emprise du Lion, or the rainy mountainsides of the Storm Coast. While the range and scope of these environments are engaging and adequately serve their purpose of establishing the diverse cultural and geographical makeup of Thedas, they don’t pull the same weight when it comes to adding substantial thematic or character resonance. Beyond their differing climates and cultures, there isn’t much else to differentiate the environments from one another: they function quite similarly in their relationship to the player, providing a main-quest progression, a smattering of side quests, and a fresh batch of resources and enemies. I know in my own playthroughs that after a while these environments start to feel blandly alike (“Now I’m in the forest; next I’m in the desert”), to the point that my feeling of immersion was disrupted as a result. This is because the player isn’t primed to engage with these environments in a way that that feels personal: because the avatar has no character-based or thematic connection to these places, neither does the player. The exceptions to the rule here are DA:I’s home bases of Haven and Skyhold: the headquarters of the Inquisitor, where the player can interact with the Inquisitor’s companions. Here we have a personal link between character and setting: first, the home base functions as an actualization of the Inquisition as an organization, a place where soldiers train and where the player can plot out plans and serve justice from a throne. Second, the home base is where the Inquisitor’s companions dwell: depending on the player’s degree of attachment towards these characters, the home base can function as a very literal home for those closest to the Inquisitor. The game deftly utilizes this link between character and setting during the Corypheus-led attacks on each location, binding the macro-level event of saving the world to the micro-level event of saving one’s home. But these are only two moments in an entire story. For the most part, the setting of DA:I is a series of explorable Wikipedia entries on the realm of Thedas: entertaining and informative, but lacking in thematic and character-based resonance. The result is a loss in the immersive quality that’s so valuable to any RPG. On the other hand, if there’s one aspect of DA:I where immersion is strongly established, it is its cast of supporting characters. A diverse range of compatriots provide many of the micro, intimate interactions to the narrative that are lacking in the plot at large. Whether in the passionate and oft-tested faith of Cassandra Pentaghast, the brutish humor and surprising egalitarianism of the Qunari mercenary Iron Bull, or the frenetic poeticisms of the spirit Cole, the advisors and companions of DA:I paint a vivid, broad, and emotionally engaging portrait of the types of people who inhabit Thedas, which ultimately helps bridge the otherwise substantial divide between the micro and macro stakes of the plot. Meaning, these characters establish the idea that Thedas is worth saving because it is filled with real people with real hopes, desires, and flaws. This creates an emotional gateway through which the player can invest in the narrative, thus creating a deeper level of immersion. Still, it’s my belief that the immersive experience of DA:I falls short, and that this failure is most strongly embodied by the customizable Inquisitor avatar. Who is the Inquisitor? Depending on the player’s inclination, they can be a great many things: an ex-Qunari mercenary, an elven mage, or perhaps a surface-dwelling dwarf. One thing they are for certain is the only survivor of a peace conference torn asunder by the Breach, and bearer of a magical mark that gives them great power. Throughout the storyline, the Inquisitor is alternately an unknown amnesiac, a prophet of Andraste, and finally a leader of a powerful and world-shifting military organization (the Inquisition). The manner in which they exist within these roles is entirely up to player. They can be a violent or level-headed, cruel or compassionate, straightforward or cunning. The Inquisitor can be almost anything at any given time, and it’s because of this seemingly limitless palette of options that the Inquisitor, ultimately, is little more than the sum of his or her parts: a series of reactions to a wide array of situations, rather than a coherent character. 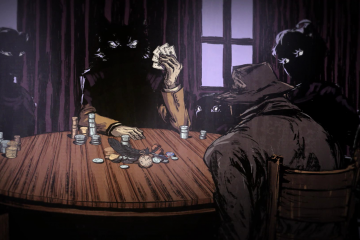 In this way, the game presents a main character that isn’t fully developed and therefore cannot adequately inform or influence the form of the narrative. The main reason for the Inquisitor’s lack of character development is a lack of consistency. I delight as much as anyone in the variety of responses available to my Inquisitors, and have been known to indulge in a play style that fluctuates wildly, just to see the range of options available. But with respect to the quality of narrative, that method of play (and storytelling) only takes one so far. Even when trying to develop an avatar with a consistent character and worldview, the player will inevitably run up against a situation where the behavior of their Inquisitor is hindered by the limited options provided by the game. This flaw applies most glaringly to the story’s endgame: no matter the methods one uses to reach the climactic final battle, there is ultimately little distinction between the endings for a “good” (or virtuous) playthrough and an “evil” (or morally flexible) playthrough. At the game’s resolution, the Inquisitor defeats the evil Corypheus, seals the Breach, and saves the world, regardless of the choices that the player made in getting there. In moments like these, we can see how the plot of DA:I is necessarily generic, in order to allow for an underdeveloped, customizable protagonist. Accordingly, the narrative’s form can’t reflect its content in a way that is consistent, complex, or impactful, which disrupts and diminishes the potential for deep immersion. The reason for this disconnect is not simply the limitations of a customizable avatar. One only need look as far as the original Mass Effect trilogy to see how a plot featuring a customizable avatar can be constructed to allow for a story in which form mirrors content more effectively. While it’s true that the premise of Commander Shepard’s identity is more firmly independent of the player’s input (being a human, working as some sort of soldier for the Alliance, etc.) than the Inquisitor’s is, I would argue that the narrative of the Mass Effect games more consistently adheres to a form that reflects its content, by interweaving character-based micro events with its larger, macro galactic-salvation plotline. The best example of this is the endgame of Mass Effect 2, a suicide mission where the only way to completely succeed (that is, to avoid the deaths of Shepard and his/her crew) is for the player to have interacted with and established positive relationships with Shepard’s squad mates. The game places an emphasis on the interpersonal relationships of its central characters, and in so doing defines its completion as being not just about achieving some objective (the basic progression of a game’s plot), but actually engaging on an emotional level with those who help in achieving that objective. For the reasons I’ve posited above, we can see how guiding the player into investing themselves this fully in the games’ characters can contribute to a deeper level of immersion. Which brings us back to the Inquisitor. I posit that the real issue with the Inquisitor isn’t that he or she is a customizable avatar: rather, the issue is that the Inquisitor is simply there to push along the story and to provide a means of exploring the world, without being tied into either of those elements in any personal way. In other words: the Inquisitor, like the supporting characters, is merely an agent of the plot. 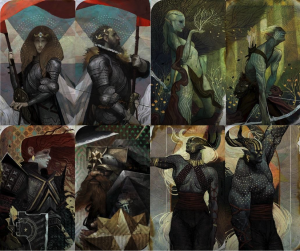 The most engaging components of DA:I’s narrative—character and theme—are purposefully backgrounded in order place an emphasis on the macro-scale, generic plot of the Inquisition fighting to save Thedas, and to establish Thedas as a setting in its own right. As a consequence, the answer to the question of “who is the Inquisitor?” is unsatisfactorily easy: the Inquisitor is the head of the Inquisition, the only one capable of closing the Breach, and little beyond that. The avatar is there to allow the player into the story—but, when the story itself falls short of being inventive or unique (as discussed above), then there is less for the player to engage with in a deeply immersive way. In The Witcher 3 (“TW3“), the player controls the witcher Geralt of Rivia, who must seek out his onetime ward Ciri in order to prevent her (and her supernatural powers) from being claimed by the evil and mysterious Wild Hunt. Most of the plot sees Geralt investigating the various areas in which Ciri has been seen and piecing together her story, before finally finding her and taking a stand against the Wild Hunt. When viewed through the same lens we applied to DA:I, TW3′s story reads as equally simplistic: it’s a straightforward rescue mission. However, when we examine it more thoroughly, we can see how the narrative’s form reflects its content, which allows for a more immersive experience. Through techniques like flashback sequences in which the player can control and act as Ciri herself, the game slowly weds her story to that of Geralt, ultimately realizing a coherent whole that demonstrates how each character’s arc is inextricably bound up in the other’s. In other words, the story’s plot is actively reinforced with micro-scale, character-based themes as the player progresses through that story: the relationship between Ciri and Geralt is gradually revealed and further established as the plot moves forward. This narrative symbiosis is taken to its logical conclusion in the endgame, when a myriad of the player’s choices regarding Ciri directly influence her fate: whether she lives or dies, the circumstances surrounding either result, and how that result affects Geralt. 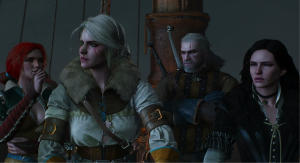 At first glance, this technique of allowing Geralt some measure of control over Ciri’s endgame may seem to detract from her character; one might see it as a negation of the agency the game imparts to her through her playable sequences. But when viewed in the context of the game’s overall narrative, this isn’t the case. The forward motion of the plot is concurrent with the establishing of Ciri’s character as a fully fleshed-out person in her own right, with her playable sequences showcasing both her powerful supernatural abilities, as well as her multifaceted personality. Moreover, Geralt (and consequently the player) never explicitly decides Ciri’s fate: he can only nudge her in certain directions via choices related to their relationship as father/daughter figures to one another. For example, in the late-game quest “Father’s Day,” Emperor Emhyr var Emreis (Ciri’s biological father) attempts to pay Geralt for bringing Ciri back to him safely. Should the witcher accept, Ciri’s view of him is affected negatively, causing her to be more likely to move towards Emreis as a father figure and become Empress in the game’s epilogue. 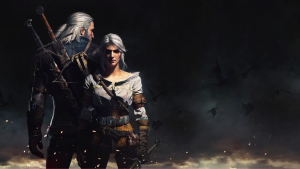 Other endgame choices also carry a paternal tone: the “Final Preparations” quest sees Geralt either allowing Ciri to speak for herself or speaking on her behalf, and the “Child of the Elder Blood” quest has the witcher decide whether to enable or temper Ciri’s rage in a moment of vulnerability. It’s apparent that none of these choices allows the player to explicitly decide whether Ciri lives or dies. Instead, they are narrative situations in which the player’s—and Geralt’s—relationship to Ciri is interrogated and defined. They are the natural endpoints of a plot that so closely follows these two characters’ trajectories. The fact that this final establishing of Geralt and Ciri’s relationship occurs in the most climactic parts of the plot indicates one of the most important takeaways from the narrative of TW3: Geralt is a man whose profession and calling dictates that he can never have children of his own. He spends the majority of the game traveling and fighting alone, and even when he does encounter companions, those tend to be brief meetings. He has no real ties or obligations to any faction or person—except those obligations tied to his personal relationships. Put aside the swords, sorcery, and monsters, and what you have is a story about a man who, despite embodying the concept of a lone wolf and having the means and opportunities to abandon the plot and strike out on his own, nonetheless spends the entire game trying to find the closest thing he’s ever had to family. While defeating the Wild Hunt does effectively save the world, the averted apocalypse is incidental to the core themes of the story. First and foremost, the plot of TW3 is about these personal relationships of Geralt the Witcher: it reflects his central character. 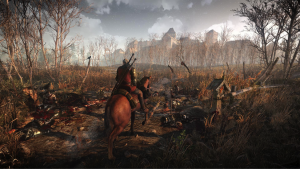 In contrast to DA:I’s grandiose plotting, this allows TW3 to more deeply immerse the player in its narrative. When it comes to setting, in broad strokes, TW3′s Continent is quite similar to DA:I’s Thedas. Each is comprised of several warring kingdoms, empires, and factions, broken down into a handful of sprawling areas available for the avatar to wander, influenced as much by medieval Europe as they are by traditional fantasy. However, there is a major difference in the way TW3 contextualizes its world: namely, the game subtly works to create environments that reflect and reinforce the character of its central protagonist, Geralt, which again reinforces the experience of deep immersion for the player. For example, Velen is a vast area of rolling hills and wooded glens that has been greatly impacted by the wars wracking the continent. The land is peppered with abandoned villages overrun by monsters and marred by corpse-ridden battlegrounds. Although this makes for a compelling location in its own right, the setting is imbued with deeper meaning through the ways in which it reflects the protagonist, Geralt of Rivia. At the time of his arrival in No Man’s Land, the witcher is similarly scarred by generations of conflict; the contested nature of the area parallels the various allegiances and factions that Geralt pivots to and from in his search for Ciri. In the ruler of the region, Philip Strenger (a.k.a. the Bloody Baron) , we see these thematic parallels creep up from setting into character. Indisputably, Strenger is an awful man: violent, power-hungry, and both physically and emotionally abusive towards his family. But, like Geralt, the Baron is seeking lost family, and in exchanges between the two men, he reminds the witcher that both of them have built their lives around killing. Just as TW3′s overarching narrative unifies plot and character via the relationship between Geralt and Ciri, smaller quests like those involving the Baron similarly blend the two components to create a more engaging, immersive experience. We see this kind of depth in other areas of TW3, as well. Novigrad, in addition to housing and hiding some of the witcher’s closest companions, is the epicenter of the conflict between magic-users and the Witch Hunters. This conflict is very similar to the templar/mage dispute in DA:I, but it’s the role of that struggle within the broader narrative that demonstrates the difference between the two games. TW3 centers the Witch Hunter’s oppression of magic-users on Triss Merigold, Geralt’s companion and erstwhile lover, allowing the player to enter the conflict personally and emotionally: Geralt’s investment in the matter is dependent on his personal investment in Triss (as is the case, by extension, for the player). Compare this to DA:I. Its templar/mage dispute exists mostly on a macro scale, reinforcing the disunity of Thedas and adding more warring factions to the fray. Even an Inquisitor who is a mage themselves is given just a few extra dialogue options here and there to explore the nature of their oppression in a personal context. In contrast, TW3 uses Novigrad’s conflict to further characterize its central protagonist, creating a compelling feeling of engagement for the player and deepening the level of immersion. Like Velen, the Skellige Isles echo the game’s major theme of broken families in its main quests, one of which sees Geralt seeking out the sibling heirs of a local Jarl, while the other has the witcher seek out clues regarding Ciri’s whereabouts with his other erstwhile lover, Yennifer of Vengerberg. Even the physical layout of the area works to reflect the narrative’s content: should the player choose to ignore fast-travel options and/or seek out the many optional locations on the map, the seemingly ceaseless seafaring and siren-slaying create an environment of futile repetition. Using this in conjunction with the consistently dreary weather, the game cultivates an atmosphere of hopelessness that speaks both to Geralt’s current quest (the long and often fruitless search for Ciri) and to his character at large (the idea that adventuring and killing monsters is an endless, repetitious, thankless task). Further, that same atmosphere applies to the player’s experience of playing the game. The dreary, repetitive gameplay here draws the player into the character arc of Geralt, all while the environment is reinforcing that same character arc. Taken altogether, we can see that, beyond providing an inviting landscape in which to stage the plot (as in DA:I), the various settings of TW3 work in tandem with the plot itself to mirror its central character and themes, strengthening the immersiveness of the work as a whole. The characters of TW3 further demonstrate the story’s emphasis on personal relationships. Geralt’s entire quest completely depends on characters both new and familiar—for instance: the aforementioned Baron, the hapless bard Dandelion, and his pair of female foils, Triss and Yennifer. If we look at NPCs as they exist for narrative purposes—that is, to populate the setting and story with well-rounded, interesting characters for the player to invest in—then TW3′s NPCs serve their function. But what of Geralt—the avatar, the role the player inhabits, and the namesake of this article? I posit that by paying more attention to both the role of its avatar as well as the player inhabiting that role, TW3 creates a character that is easily and profoundly mirrored in its plot and setting. Despite the fact that Geralt staves off the apocalypse by the game’s end, the main storyline is repeatedly framed as one man’s search for his missing family member, reinforced by environments that reflect the witcher and his quest. But that narrative marriage between the personal and the universal also applies to the Geralt himself. Who is Geralt of Rivia? On the one hand, he’s a loner: a dangerous man of immense capabilities who alternately kills, jokes, and woos his way through the world while defeating hordes of enemies. In other words, he’s a stereotypical anti-hero: James Bond in medieval mercenary drag. In this way, he’s not much different than the Inquisitor as a vessel for the player to inhabit. But on the other hand, he’s a witcher, bound to that mercenary order’s culture and conduct. He’s the lover of Yennifer and Triss, and a father figure to Ciri. He’s the Butcher of Blaviken to some, and the White Wolf others, a man with deep ties to his world and longstanding relationships with many who live in it. All of this shows that he is a well-rounded and dynamic character, in addition to being a cardboard cutout of a sword-swinging badass. It’s to the TW3’s credit that the game not only allows both the personal and universal aspects of this character to coexist, but actively celebrates that coexistence as well. By utilizing player choice in dialogue trees and methods of quest completion, TW3 allows the player to decide how Geralt might react to any given person or situation, while keeping those choices bound to his essential personality. Combine this give-and-take with a world that is constantly reflecting its central character, a plot that’s tied to his personal life and struggles, and themes of family and love that act as a narrative glue connecting everything together, and what you’re left with is an entire artistic experience working cohesively to locate the player inside of what it means and feels like to be not just a witcher, but The Witcher. Or, to phrase it another way: while Anderzej Sapkowski’s novels (on which the Witcher games are based) allow Geralt of Rivia to exist on the page, CD ProjektRed’s games allow the player to exist within Geralt of Rivia, using the unique medium of video games to craft a narrative where form reflects content, thereby allowing for a deeply immersive experience. In the case of both The Witcher 3: Wild Hunt and Dragon Age: Inquisition, “immersion” is a buzzword that has seen considerable mileage in both marketing and reception. But that word is easily misconstrued and misapplied. DA:I provides a narrative practically overflowing with choice (a word often linked to discussions of immersion in RPGs), and yet ultimately falls short of providing a deeply immersive experience due to a story that fails to consistently and cohesively establish a narrative form that mirrors its content. Its familiarly outsized plot and superficial settings take precedence over its thematic concerns and its own protagonist, whose subsequent inconsistency dilutes the immersion of the player in the narrative. With TW3, we see how a game employing similar elements can surpass those pitfalls by establishing a setting and plot that constantly and poignantly mirror its thematic and character-based components, thus creating a unified and deeply immersive experience. When it comes to creating an immersive experience within video games, one should never underestimate the importance of being Geralt. Chris Anhorn is a freelance journalist who writes both fiction and non-fiction. He focuses on how the established techniques and tropes of literature inform the storytelling of video games. Learn more here. Thank you for that great analysis. I left the game in a middle with that exact feeling of DA:I’s plot played me more than i played the game. But in TW3 exist one contradiction that makes me say: “Doh! Not again!”. I am the Witcher, the Butcher of Blaviken and killer of Vilgefortz, but… at the starting point you have least efficient armor and almost no skills. Like there was no years of training and decades of practicing the witcher’s craft. (It was narrativelly legit in first Witcher, when he was on a edge of his life. But not after he dealt with Letho.) I understand the meaning of that situation – player must have space for character’s development. And situation changes when you start NG+. And this is my point and at same time is my question. Is NG+ mode cohere or dissonate with narrative?